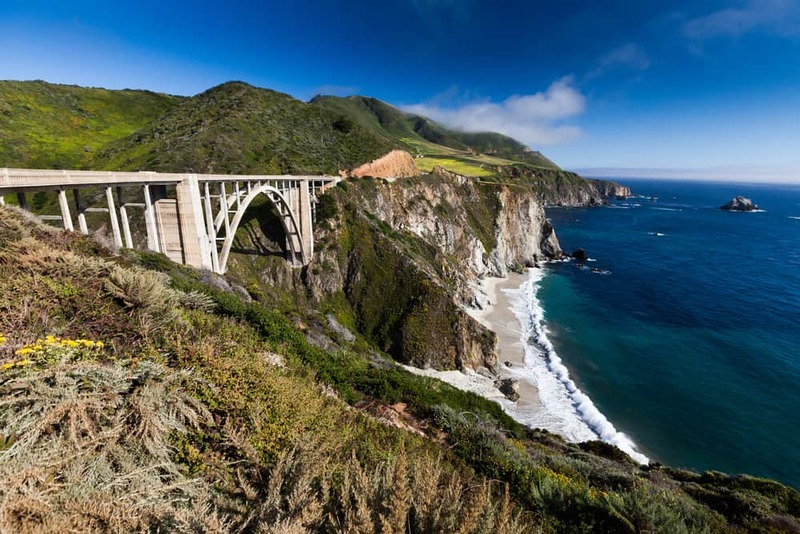 Monterey Bay travel is truly all about the ocean; the seaside town, which is located on central California’s Pacific coast, is the home of one of America’s premier aquariums. 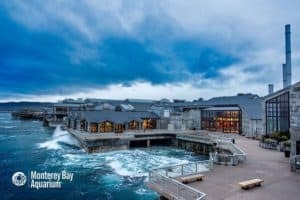 Indeed, many tourists travel to Monterey Bay solely to visit the Monterey Bay Aquarium, where visitors can view an impressive array of sea life, including stingray, jellyfish, sea otter, seals, sea lion, dolphin, and blue fin and yellow fin tuna exhibits. The aquarium overlooks Monterey Bay National Marine Sanctuary, which protects dense kelp forests and a sublime variety of marine life, including seals and sea lions, dolphins and whales. 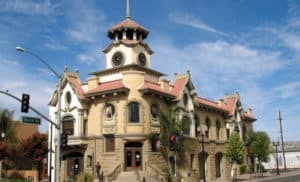 The city itself possesses the best-preserved historical evidence of California’s Spanish and Mexican periods, with many restored adobe buildings. 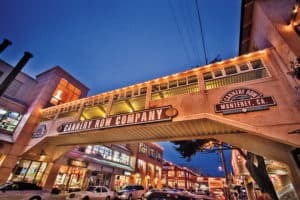 An afternoon’s wander through downtown’s historic quarter promises to be more edifying than time spent in the tourist ghettos of Fisherman’s Wharf and Cannery Row. Monterey’s activities and museums like the Monterey Museum of Art will keep you busy from the moment you get up in the morning until you rest your head at night. Take advantage of Monterey’s beautiful weather and walk the Path of History where you can experience what life was like when Monterey’s served as California’s capital. Or stroll among the city’s wine tasting rooms or along the glorious beaches. Avid shoppers can find antiques in New Monterey, unique boutiques on Cannery Row and among the historic buildings in Old Monterey. It is easy to understand why Monterey California Tourism is not a hard sell! For a list of all the area beaches << Click Here >>. The best time to visit Monterey is between April and May. Spring offers warmer temperatures, fewer crowds and food festivals dishing out delectable eats, including Pebble Beach Food & Wine and the Artichoke Festival in Castroville. Summer is the most popular time to visit the Monterey Peninsula, but Monterey can still be chilly. 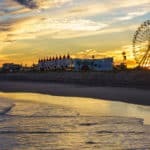 Located right on the ocean, the region experiences bitter winds, so bring a sweater regardless of the season. Fall is another good time to visit, but the likelihood of rain increases starting in October. Monterey’s central California location subjects it to mild temperatures during the winter, with the average low reaching 48 degrees. Winter also brings lower hotel prices and the celebrity-heavy AT&T Pebble Beach Pro-Am event held in February, making Monterey an attractive destination year-round. Monterey Bay Aquarium is a nonprofit public aquarium known for its regional focus on the marine habitats of Monterey Bay. It was the first to exhibit a living kelp forest when it opened in October 1984. Its biologists have pioneered the animal husbandry of jellyfish and it was the first to successfully care for and display a great white shark. The organization’s research and conservation efforts also focus on sea otters, various birds, and tunas. Tracing the rugged Pacific coastline, the 17-Mile Drive isn’t just a road. The route offers breathtaking views of the ocean, hugging the Pacific coastline as it weaves through the Del Monte Forest. You can experience the natural wonders of Monterey and marvel at the multi-million-dollar homes along the coast. It is highly recommended to get out of your vehicle and park at the marked points of interest along the 17-Mile Drive. Don’t miss getting a picture of the Lone Cypress, or taking a short stroll along the wooden paths that line the shores of Spanish Bay. Old Monterey is home to an extraordinary assemblage of 19th-century brick and adobe buildings, administered as Monterey State Historic Park and all found along a 2-mile self-guided walking tour portentously called the ‘Path of History.’ You can inspect dozens of buildings, many with charming gardens; expect some to be open while others not, according to a capricious schedule dictated by unfortunate state-park budget cutbacks. 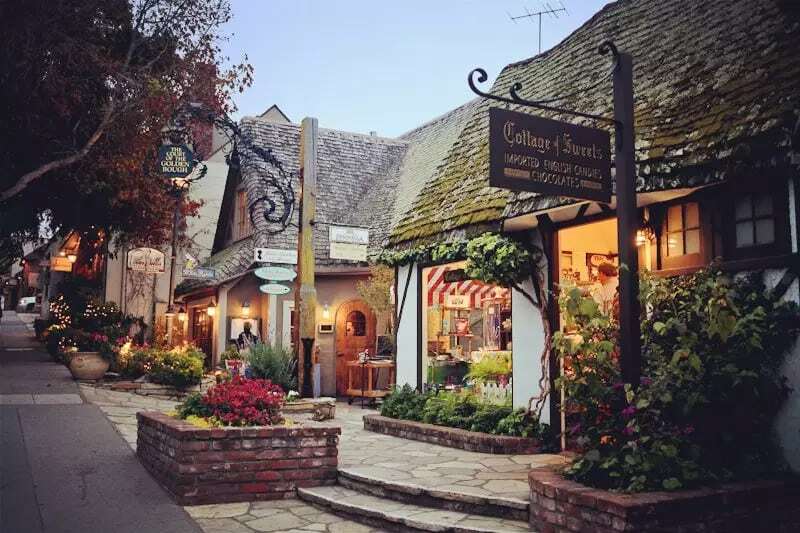 Located south of Monterey and Pebble Beach, Carmel-by-the-Sea is a humble seaside village with a few small shops and cafes — at least that’s the cover story. In truth, this pricey town has plenty of designer stores, gourmet eateries and upscale art galleries that cater to its wealthy residents (like Clint Eastwood). You’ll find most shoppers and diners around picturesque Ocean Avenue, which leads to Carmel Beach. Fast Raft Ocean Safaris are a fun and exciting way to explore the beautiful Monterey Bay Sanctuary! Their low to the water boat, Ranger is comfortable and highly maneuverable, offering an incredible perspective of ocean wildlife and beautiful coastal scenery. With a maximum of six passengers, each Eco-Tour is custom designed to the unique desires of their guests. 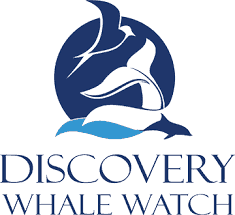 For more information call (831) 324-4883, or visit them on the web at Fast Raft Ocean Safaris. Teaching surfing in Carmel, Monterey and Pacific Grove since 1986, professional instruction, professional grade gear. Trusted by all three surf shops on the Monterey Peninsula. Parties, groups and privates lessons offered almost daily all year around. All equipment included all ages and abilities welcome. For more information call (831) 915-4065, or visit them on the web at Carmel Surf Lessons. Restaurant 1833 is a vintage chic dining space. Thoughtful food and drink are served in an historic location that comes complete with a hint of haunting. Guests dine in one of seven distinct rooms decked with detailed furnishings and fixtures, including a library, sun room, and fireside patio. Dishes range from oysters on the half shell and oozing warm artichoke dip to wood-fired pizzas and tri-tip with tempura maitake mushrooms and roasted butternut squash, while the beautiful bar serves classic and specialty cocktails, alongside a lengthy list of wines. For more information call (831) 643-1833, or visit them on the web at Restaurant 1833. Watch otters play outside the bay-view windows at this floating seafood kitchen on the wharf. Stick with the classics like creamy clam chowder, grilled sand dabs and jumbo crab-club sandwiches. Reservations strongly recommended. Ring the bell to let them know you’ve arrived. For more information call (831) 373-2818, or visit them on the web at Sandbar & Grill. This Oaxacan-inspired restaurant includes a dining room, lounge, and outdoor fire pits. Cultura offers a seasonal menu of fresh, artistic dishes that range from $4 street tacos to $95 Wagyu ribeye. The full bar features a hand-picked selection of mezcals, offered on their own or in flights of three, along with traditional chapulines (grasshoppers), local orange slices, and sal de gusano (worm salt). Lunch and late-night menus available. For more information call (831) 250-7005, or visit them on the web at Cultura. Don’t be fooled by the inconspicuous location and worn-in appearance of this family-run restaurant. The minimal decor and straight-forward use of simple, fresh ingredients are intentional, and resemble the classic osterias of Chef Emanuele Bartolini’s hometown of Florence. Menu highlights include tender grilled octopus, crispy fried chicken, hand-made gnocchi, and addictive chili-infused fried cauliflower. The extensive wine list features small producers and highlights female winemakers, as well as organic and biodynamic wineries. Though open for lunch, the space comes alive in the evening, when a bubbling fountain and soft twinkle lights set a romantic Old World mood on the front and back patios. Reservations recommended. For more information call (831) 250-6295, or visit them on the web at La Balena. A romantic, off-the-beaten-path restaurant, with a generous patio. Stop in (no reservations are taken) for dinner with a very European feel, from the space itself to the menu of Italian comfort food. Lasagna Di Carnevale offers layers of fresh pasta with ricotta, tomato sauce, parmesean, sliced hard boiled eggs, mozerella and little fried meatballs, perfect for a foggy Carmel evening under the heat lamps. For more information call (831) 250-5790, or visit them on the web at Il Tegamino. Sports bar meets brewpub in this family-friendly tap house where over 70 draft beers outnumber bottles three-to-one. Vintage beer paraphernalia and nostalgic neon signs hang on exposed brick walls of what was once a bustling cannery and is now a drinking destination that blasts the best of the 90’s. The sizable menu leans heavily toward comfort, and features a short rib grilled cheese, house made pastrami, a trio of sliders, and a parmesean pretzel large enough to serve as an entree. 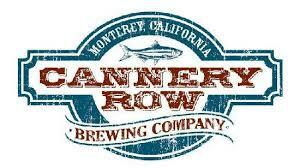 For more information call (831) 643-2722, or visit them on the web at Cannery Row Brewing Company. 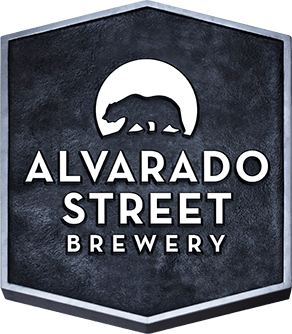 Alvarado Street Brewery & Grill is a local craft brewery and restaurant serving 20 draft beers, with tasty bar food in an historic space with an industrial feel. The full menu offers diverse but straight-forward options of the flatbread, pasta, and steak skewer variety, while the latticed outdoor beer garden serves a short menu of finger-foods, including dry-rubbed chicken wings and grilled fish tacos. Fan favorite IPA’s, kettle sours, and lagers are served all day with 3-6 pm happy hour all week long. For more information call (831) 655-2337, or visit them on the web at Alvarado Street Brewing & Grill. 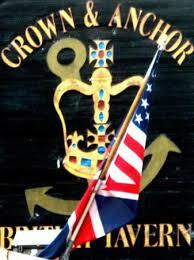 A cornerstone of Alvarado Street nightlife, The Brit – as it is affectionately called by its patrons – is a corner pub and sports bar by day and an entertainment center by night. With friendly wait and bar staff, a menu of classic pub grub, and a kitchen that stays open until 11 pm, you might be surprised to see this place transform into a trivia hall, karaoke bar, or dance floor when the sun goes down. 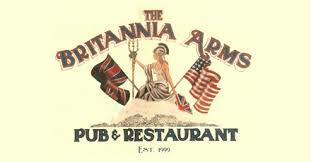 Whether its trivia, sports, dancing, food, or karaoke, Britannia Arms of Monterey has got you covered. For more information call (831) 656-9543, or visit them on the web at Britannia Arms. Perched dramatically on historic beachfront property above the crashing surf of the Pacific, Monterey Plaza Hotel & Spa delights its guests with classic, California coastal experiences animated by an irresistible spirit of conviviality and play. Here you’ll be welcomed with warm hospitality and elegantly-appointed guest rooms with thoughtful extras and luxury touches. From our chef-driven oceanfront restaurant, award-winning rooftop luxury spa and prime location steps from charming Cannery Row, this elegant oceanfront hotel is the centerpiece of Monterey Bay. For more information, pricing, or to reserve your room, visit Monterey Plaza Hotel & Spa. Enjoy panoramic ocean views and radiant sunrises on beautiful Monterey Bay. Overlooking the sapphire waters of Monterey Bay on Cannery Row, this waterfront hotel, resort and spa is where beauty and luxury indulge your senses. Whether you are planning a family vacation, romantic getaway, or special event, InterContinental, the Clement Monterey is an inspiring Monterey Bay hotel with urban energy, modern luxury, and coastal charm. For more information, pricing, or to reserve your room, visit InterContinental The Clement Monterey. At the Spindrift Inn, you’ll find European-style charm on the shores of McAbee Beach right along the bay. Plan an ocean view weekend escape on scenic Monterey Bay and discover why TripAdvisor travelers named us the most romantic hotel in the country. Accommodations feature canopy beds with plush feather bedding, hardwood floors, and marble bathrooms with Aveda bath products. Wake up to complimentary breakfast, delivered on a silver tray right to your room. Savor season fresh entrées, appetizers and desserts at the award-winning Sardine Factory. Take in panoramic vistas of the Monterey Bay from the hidden roof top garden, or soothe with a relaxing in-room massage. For more information, pricing, or to reserve your room, visit the Spindrift Inn. Hotel Abrego is conveniently located near the busy shops, boutiques, museums and restaurants of historic downtown Monterey. Explore local wineries, sandy beaches, take in scenic vistas along 17-Mile Drive, or relieve the stresses of the day with a massage in the comfort of your room. Our own Bistro Abrego serves up locally sourced fresh seafood dishes and morning favorites for breakfast. Our guestrooms make you feel at home with cozy fireplaces, Italian linens, beverage coolers, and balconies. Stay on task with services in our business hub, or host your own catered event. For more information, pricing, or to reserve your room, visit Hotel Abrego. Relax in one of our spacious Monterey hotel rooms, which features a marble fireplace, 42-inch flat screen TV, free Wi-Fi and one king or two double beds. Complimentary Monterey County wine and a selection of cheeses are served in the parlor every afternoon. Enjoy the fresh coastal air from your private patio, balcony or window seat overlooking Cannery Row or our lovely garden courtyards. 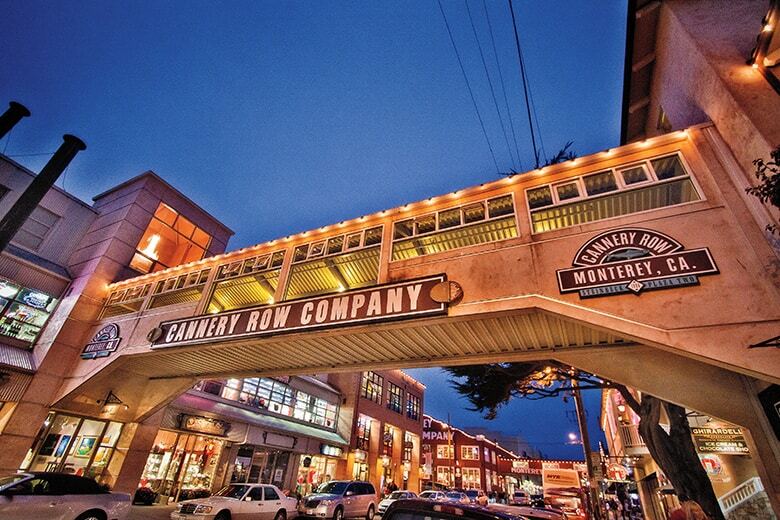 The Monterey Bay Aquarium and Cannery Row’s shopping and dining are just a few short blocks away from our pet friendly hotel. For more information, pricing, or to reserve your room, visit Best Western Plus Victorian Inn. There’s so much great information here! Thanks for sharing, my wife and I are thinking about spending some time in the US in the next couple of years so I know where to go for information. What would the weather be like June-August? That 17-mile drive looks incredible, is it possible to run along it (not the whole way!!) or cycle along? 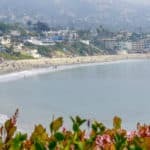 I am glad you find my site informative and with what you need to plan your trip to the U.S. June – August in Monterey is going to be pleasant but not hot as it is on the coast. The temperatures are going to be in the mid to upper 60s. Yes, you can bike and run on the 17-mile drive. Vehicles going on the route pay $10.25 per car, and motorcycles are not allowed. But bikes and on foot is free 🙂 Please let me know if you have any additional questions. Wow, every time I read another post, I add to my bucket list, lol. This looks like an amazing place. I especially love all the historical areas. Do you know if there are any RV camping sites in the area? Being from Canada, I’d love for us to pull our trailer down along the cost and make frequent stops. Oh my goodness Suzanne, there are plenty of camping sites in Monterey. You will not have to worry about that, and how fun to motor down from Canada. I used to live in Alaska, so the scenery is amazing just as in Canada. Both California and Canada are so different, yet what a great way to enjoy! Thanks for stopping by. California is certainly one of my favorites states to visit. There is always so much to do there. Sea lions are amazing in person, though. They are actually very playful and fun animals to watch. The aquarium looks like something I would certainly like to do. However, I would like to check out their gift shop if they have one, too. Do you happen to know if they have one, though? Hi Garen, I would agree that California is probably one of the best states, next to Florida that is 🙂 Yes, you will find a gift shop at the Aquarium with plenty of items to take home 🙂 Thanks for stopping by Monterey California Tourism. It is beautiful in Monterey and of course I have been. I love California. Probably one of my favorite states besides Florida and Texas 🙂 Thanks for stopping by Beach Travel Destinations. This looks like a great place to visit in California. I never heard of this place it before. Simply by reading this article, it looks like there is so much to do and so many places to visit in Monterey. Thank you for all the great information you provided throughout this article. It makes me eager to visit it one day. I hope you can visit one day soon Sonia. California is wonderful, especially the central coast. Thanks for visiting Monterey California Tourism! Great article, so much information! I was so surprised by all the options to choose from. My boyfriend and I have been wanting to visit Cali and this might definitely be a place we stop by at. The “fast raft ocean safari” is my kind of scene. It is really a great coastal vacation destination with everything from beaches, to adventure, to beautiful surroundings. I hope you can make it soon! Fantastic Article, it was only when I reached the bit about the 17 mile coastal drive and Carmel that I realised had visited the area a few years ago. 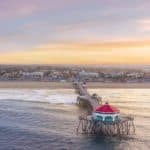 I can concur that these were beautiful places to visit and next time I plan on visiting California I will be sure to check out your website for more detailed information on the area. Ok Richard sounds like a good deal! When you are ready to visit, and need any help planning, I am here to help! Thanks for visiting Beach Travel Destinations. I must say, every post you write is brilliant, you share so much information on all the destination your write about and I would advise anyone to visit your website before they book any holiday. I have visited your website several times and I have added it to my favourites for future holidays, not only are your reviews great, its all the ideas and advice you give regarding the destinations. I have never been to the States, this is something I would love to do, and Califonia would be top of my wish list. This is nice. I went to California years ago and didn’t really have too much of a desire to go back. Later, I wanted to visit San Francisco and San Diego. I need to be near the beach. Then you will absolutely love this area. San Francisco gets a bit windy and cold for me…I’m from Florida. And I love San Diego, but the beach is where I belong. You get it all in Monterey! Ok Jim, and please let me know if you need any other questions answered to help with your vacation planning. 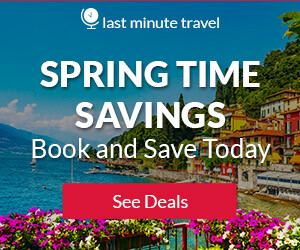 Thanks for stopping by beach travel destinations.com. Monterey, California is hands down, one of my favorite places to vacation, I just love it. I really liked the description of Bella On The Bay. I think the next time I stay I would do this. I mean come on a 47’Luxury Italian Racer Cruiser yours for the day, sounds incredible. Can you stay overnight on a boat like this or is it merely for the day? I do believe that they have overnight trips as well. I would check on their website to make sure, but that would be so much fun! Thanks for stopping by and visiting Monterey California Tourism. Wow this place look like paradise on earth. I was looking at the best time to visit and it happens to be the time I am taking my vacation. I will bookmark your site as I have not yet decided where to go. This might be the perfect place! Thanks for sharing! I have visited many places in California, but Monterey, not yet. Just by watching the video, it makes me want to go there. I’ll show this place to my husband and my children so we can decide and plan together our next trip:) Just a question, please. How would be the way to get there from Europe? Boy, Europe is a lot of country 🙂 What ever part of Europe you are in, you will just want to fly to Los Angeles, California. That will be the most economical airport to fly into. It is going to take give or take 12 hours to get there. If you decide to go and need any help with planning your trip to Monterey, please let me know! I have always wanted to visit the Monterey Peninsula there in California. There is so much to see and do there. A must do is the 17 mile drive! It sounds like a great excursion and one will want to bring the camera. Another great video which really makes one want to back the bags and go! I agree, that you must do the 17-mile Drive….absolutely breathtaking…and yes the camera is a must! Glad you enjoyed reading about Monterey California Tourism! Thanks for stopping by Mick! Thanks for such a concise article.I have hear of Monterey, California…and reading your article, it makes it feel like I have ‘been there’. Very nice. I think I would go for the loooong beach drive. I love Mother Nature. And the aquarium sounds right up my ‘alley’ too…and that of my daughter’s. We will be doing some travelling in a few months, so here goes another ‘to do’ for my list. Thank you Michelle for stopping by and taking the time to visit Beach Travel Destinations. I am glad you enjoyed visiting Monterey California Tourism. This looks like another excellent place to visit in California. I love the fact that these places are on th coast with such beautiful views. I always liked California and would love to see Monterey because it looks awesome and I’ve never been there before. It’s like one place is more beautiful than the next. Do you think it gets very crowded there and at what time of the year? Yes, another great California coastal destination 🙂 The best time to visit Monterey is between April and May. Spring offers warmer temperatures, fewer crowds and food festivals dishing out delectable eats, including Pebble Beach Food & Wine and the Artichoke Festival in Castroville. Thanks for stopping by Rob! WOW! What a beautiful place! We have driven down the Oregon Coast – but never far enough to get to California. This is definitely on the road trip list now! Thank you for your information! The drive along the California coast is so wonderful. I don’t think I could ever get tired of the scenery. And to me Central California has all of California beat, hands down. Thanks for stopping by Monterey California Tourism. Wow, Monterey looks great. I may have to put this on my list of vacation spots to check out. We love aquariums and beaches. I have never been to California. But it looks like there may be a first time. California is awesome! So many wonderful places, such beautiful coastline, and so much to do and see. And yes, their aquariums and beaches are both not to be missed! Thanks for stopping by!